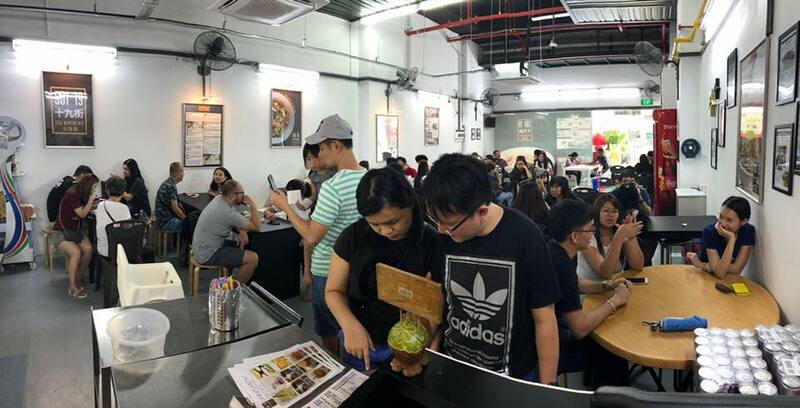 Soi 19 Thai Wanton Noodles: Almost 500 Bowls Sold Daily! Bangkok has long been a popular choice among Singaporeans for a quick getaway. With an equally bustling nightlife and street food scene, ask any Singaporean for recommendations on where to go and what to eat and you’re more than likely to get passionate endorsements of cafes and malls located all around the city. 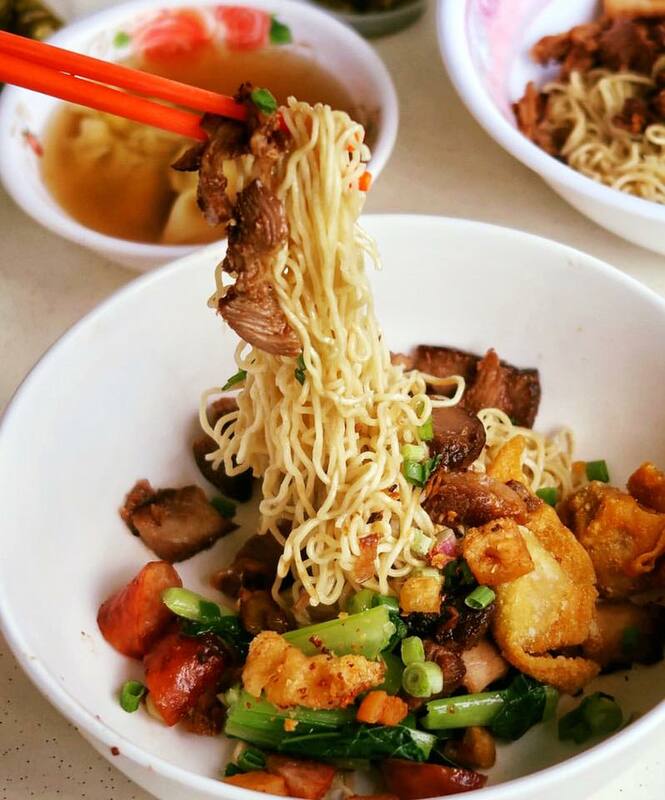 One of the most popular haunts among Singaporeans is a particular wanton noodle store along Soi 19 in the Pratunam neighbourhood. Named ‘SabX2 Wanton Noodles’, their wanton noodles are slightly different from the ones we’re used to in Singapore. As compared to the version that’s slathered with thick and sweet gravy, the wanton noodles at SabX2 are served dry, and come topped with chunks of crab meat. 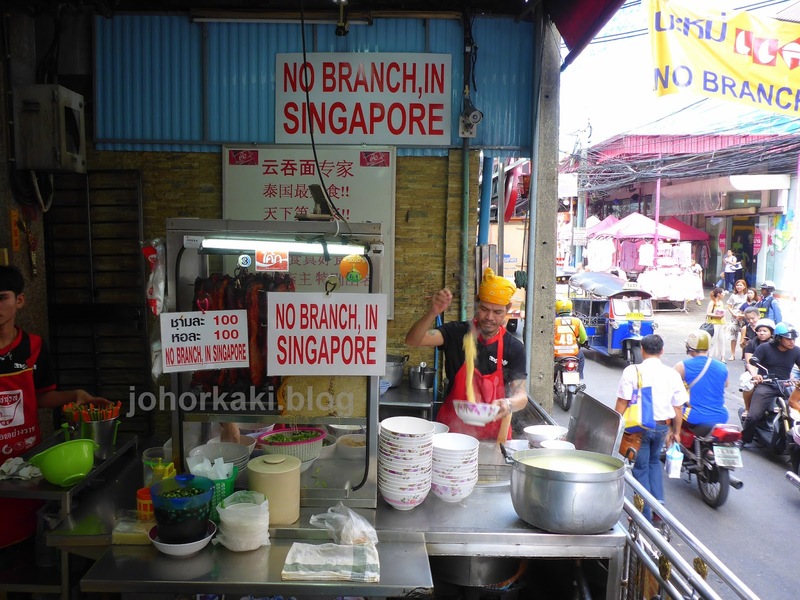 But perhaps something that makes them stand out even more than their unique brand of wanton noodles is the multiple sign boards around the shop that pretty much yell out a message loud and clear – that they don’t have any branches in Singapore. What they’re referring to is homegrown chain Soi 19, which also serves Thai-style wanton noodles – but with a Singaporean twist. “Same same, but different,” some would say. 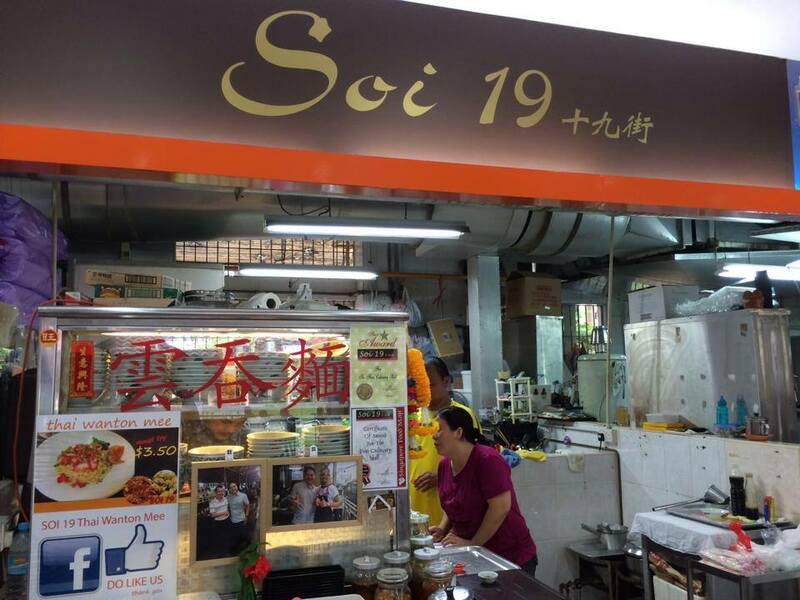 With Soi 19 gaining much popularity here (they have expanded from a humble stall in an Ang Mo Kio coffeeshop to a total of three stores islandwide), it’s no wonder that the owner of SabX2 wants to differentiate themselves from their Singaporean rival. But it doesn’t seem like they need the boost in popularity, anyway. The founder of Soi 19 is Mr Ng Sing Chow, who is 64 this year. However, he now works on a “semi-retired” basis, with his son (Alex Ng) and daughter (Claire Ng) running the show at their 3 outlets. 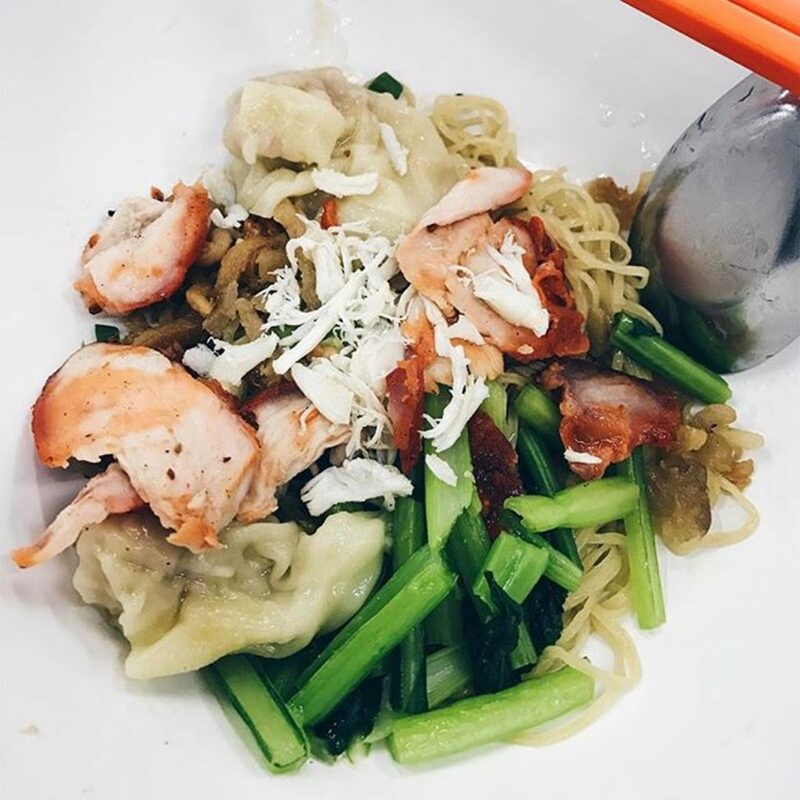 While their take on Thai wanton noodles has definitely endeared itself to Singapore foodies, it’s hard to imagine that Mr Ng and family actually had no experience in the F&B industry before Soi 19. In fact, Mr Ng started off in the footwear business because his father was a leather shoemaker. “[Eventually] we went into apparel because we realised that the shoe business was going downhill,” explained Claire to my colleague and myself over a bowl of wanton noodles. In its heyday, Mr Ng had a few clothes shops in Bangkok and Singapore, but the business soon hit manpower and operational costs issues. What’s more, the massive floods in Bangkok in the year 2011 further exacerbated the situation, and they eventually closed the shutters on that venture. But when one shutter closes, another opens. 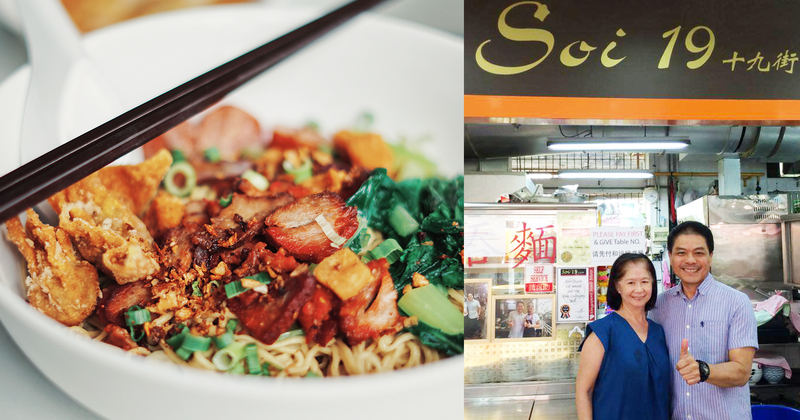 “When we were selling clothes in Thailand, we realised that a lot of foreigners – mostly Malaysians and Singaporeans – loved the Thai wanton mee. There were always long queues,” said Claire. 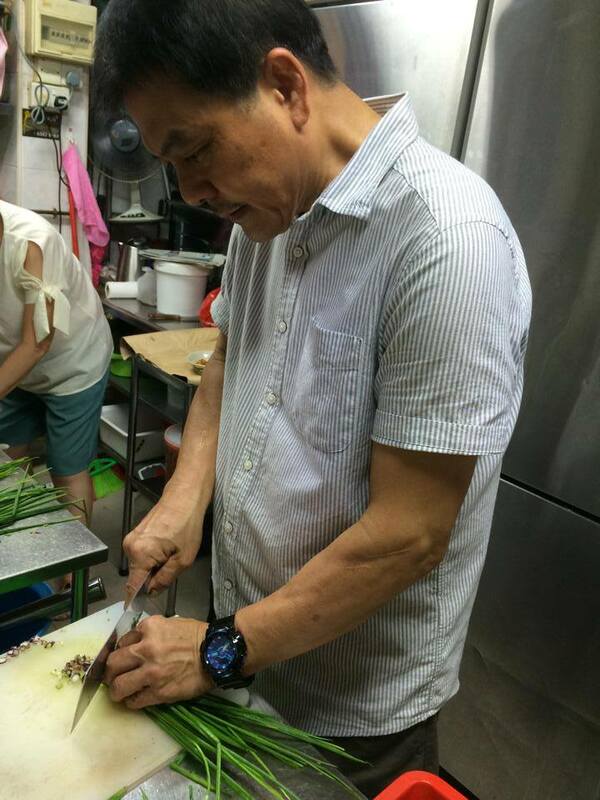 Not wasting any time, Mr Ng approached his godbrother in Thailand who taught him how to prepare the Thai-style wanton noodles. Upon returning to Singapore, Mr Ng opened the first Soi 19 stall in Ang Mo Kio in December 2012. But why ‘Soi 19’? Aren’t they afraid of comparisons with their Thai competitor? What fans might not know is their current recipe was actually the result of trial and error in the first 2 years of their operations. It was quite discouraging, and my father wanted to quit. However, his son-in-law Jason Teo (who helps to run the business and their Facebook page) encouraged him to continue his experimentation to create the perfect bowl. One of his more significant tweaks was to the noodles used, and Mr Ng had to try 20 different kinds of noodles before deciding on ‘the one’. “Some older people said the noodles were too hard, or had no sauce…they had a lot of complaints, so we had to go and find some in-between one (sic) to match everyone’s appetite,” said Claire. 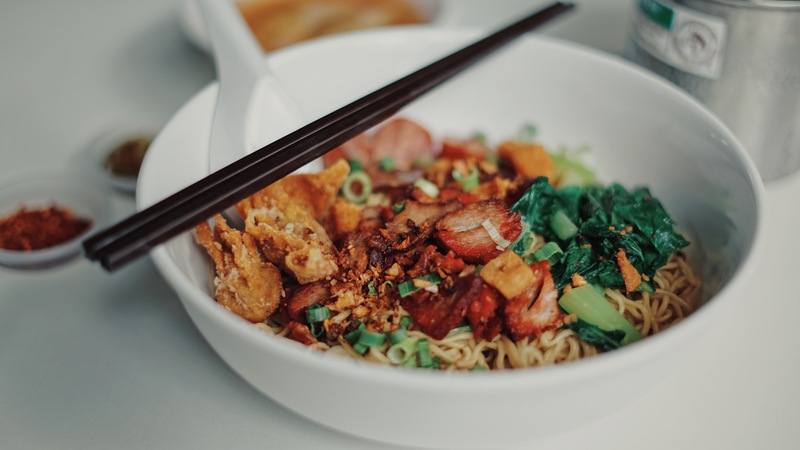 Getting Singaporeans acquainted with Thai-style wanton mee was also a challenge they faced, and there was a fair share of those who doubted the ‘authenticity’ of the noodles and those who didn’t even dare to give it a try. Having experienced first-hand the difficulties of winning over a Singaporean unacquainted with Thai wanton noodles, the family decided to take a different approach in marketing their business. “We started targeting young people, because most of them have tried the Bangkok one. [In turn,] they’ll tell their parents and elders, and then that group will start to try and accept it slowly,” revealed Claire. 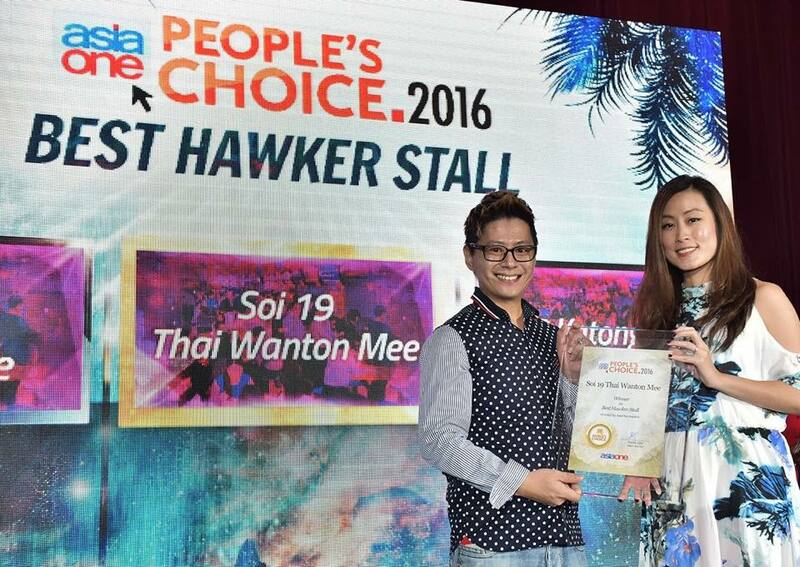 The store also received rave reviews from food blogs (like Miss Tam Chiak, SethLui.com), and they received a nod from mainstream media as well, when they were awarded the ‘Best Hawker Stall’ award by AsiaOne in 2016. She admitted that while they didn’t see results overnight, this marketing tactic worked out for them, and they were soon experiencing snaking queues at the once-quiet Ang Mo Kio coffeeshop. Unable to cope with the surge by himself, Mr Ng’s son, Alex Ng, resigned from his full-time job to help his father run the Ang Mo Kio outlet. After a successful 4-year run at Ang Mo Kio, the family set their sights on expansion – to the far West, in particular. Recruiting the help of Claire, who was previously a merchandiser at Muji, she helped set up their Jurong East branch in 2016. As passionate as she is for Soi 19, Claire readily admitted that she still misses holding a ‘regular’ job. “I love [my old] job a lot! Haha,” she laughed. And it wasn’t just the sacrificing of her free time that she found a challenge – handling all aspects of the new outlet, including the serving of the guests, was also difficult. To keep up with the mad rush of orders, she couldn’t have proper meals or take regular toilet breaks – and eventually needed to visit a doctor for it. However, all of this still didn’t deter her ambitions for the brand, and she took charge of the opening of their 3rd outlet in Upper Serangoon in 2017. However, their stint at Upper Serangoon didn’t last long due to conflicts with the mall’s management, and they moved their store to a nearby space at Kovan in August 2017. Currently, they sell an average of 400 to 500 bowls of noodles daily across their 3 outlets. Looking to the future, Claire shared that she’s already planning to open a store at Holland Village, and also hinted at overseas expansion plans. While there are still some who compare the Ng family’s wanton noodles to the ‘OG’ one in Bangkok, one thing’s for sure – Soi 19’s entrepreneurial story is 100% homegrown. I’d like to thank Claire for her time!